Co-published with Oxford University Press. A volume in the IEEE Press/OUP Electromagnetic Wave Series. Gain a thorough understanding of one of the most important simulation tools in computational electromagnetics with this comprehensive introduction to the TLM method. Written by one of the foremost researchers in the TLM method, this book covers the entire area of electromagnetics from the basic principles to advanced formulations and applications and including microwaves, antennas, RCS, electromagnetic compatibility, and electromagnetic heating, while providing a clear explanation of modeling principles from lumped components through 1, 2 and 3 dimensional complex systems. 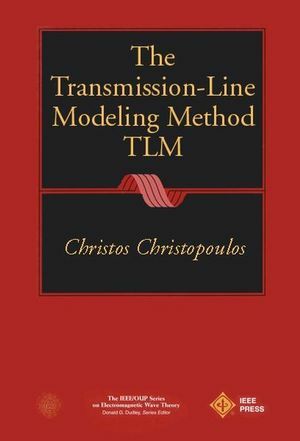 Christos Christopoulos is the author of The Transmission-Line Modeling Method: TLM, published by Wiley. Sinusoidal Steady-State Response of a Line. "Link" and "Stub" Models of Capacitors. "Link" and "Stub" Models of Inductors. Chapter 4: One-Dimensional TLM Models. TLM Models for One-Dimensional Electromagnetic Problems. Study of Dispersive Effects in One-Dimensional TLM Models. Chapter 5: Two-Dimensional TLM Models. Dispersion in a Two-Dimensional Mesh. Chapter 6: Three-Dimensional TLM Models. The Development of Three-Dimensional Nodes.